Will Christians Be Secretly Raptured? – God's Grace ~ God's Glory! This past weekend the eschatological thriller Left Behind opened in theaters. It joins a flood of Christian movies this year including Exodus, Son of God, God’s Not Dead, Heaven Is for Real, and Noah. Okay, let’s not count Noah. 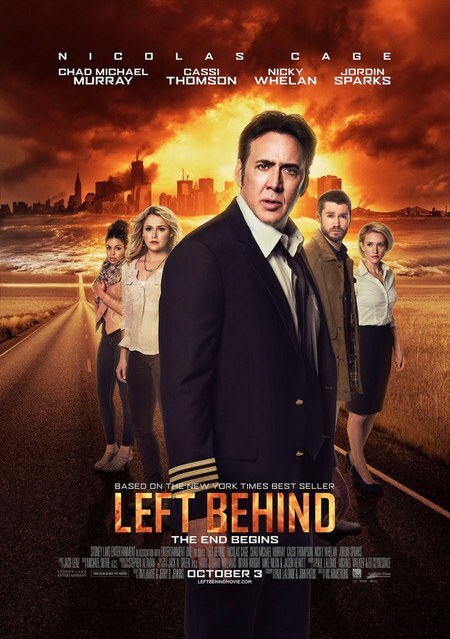 Yet Left Behind stands out among this surge of Christian films, not just because it stars Nicholas Cage, and not just because it’s based on the wildly successfulLeft Behind novels by Tim LaHaye and Jerry Jenkins. Perhaps more than the other films, Left Behind captures believers’ imagination because it portrays a future, world-changing event: the secret rapture, that moment Jesus suddenly snatches up all Christians to himself years prior to his visible second coming. As producer and writer Paul LaLonde put it, “It’s a Bible-based movie, it’s a biblical story, it’s a true story—it just hasn’t happened yet.” As a result, it can cause us to wonder, What will it be like when all the Christians suddenly disappear? How close are we to the rapture? Will I be taken or left behind? But there’s another question we should ask, one that may surprise you: “Is the rapture taught in the Bible?” It may come as a shock to learn that many Bible-believing Christians today doubt the rapture, and that most Christians throughout history had never even heard of it. Darby’s views spread rapidly, especially in the United States. The dispensational system, including the secret rapture, was disseminated through prophecy conferences and received support from evangelists like D. L. Moody and Billy Sunday. By far the most important boost for Darby’s teaching, however, came from theScofield Reference Bible. Scofield’s work became the English standard for fundamentalist, Bible-believing Christians in the early 20th century, and in the process exposed thousands of readers to the secret rapture through his dispensational-informed study notes. The secret rapture doctrine continued to gain steam in the latter half of the 20th century, and the advent of modern Israel in 1948 seemed a clear sign that God was restarting his plans for Israel. The rapture must be close! Books like Hal Lindsay’s The Late Great Planet Earth and movies like A Thief in the Night further popularized dispensational teaching. And then there are the Left Behind novels, which have sold millions of copies and captured the imagination of a new generation. The rise and spread of the secret rapture teaching is a remarkable story. In just a century and a half, a previously unknown doctrine has become a central eschatological hope for millions.